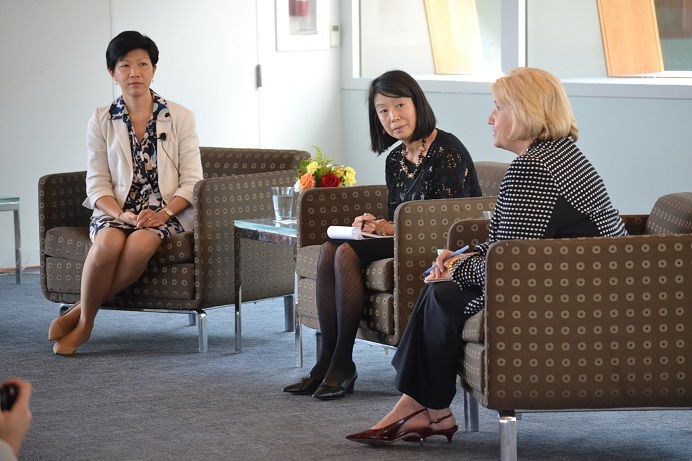 On October 7, the Georgetown Institute for Women, Peace and Security, the McDonough School of Business, the GU Women’s Leadership Initiative, and the Asian Studies Department hosted a conversation with Kathy M. Matsui, Chief Japan Strategist at Goldman Sachs. 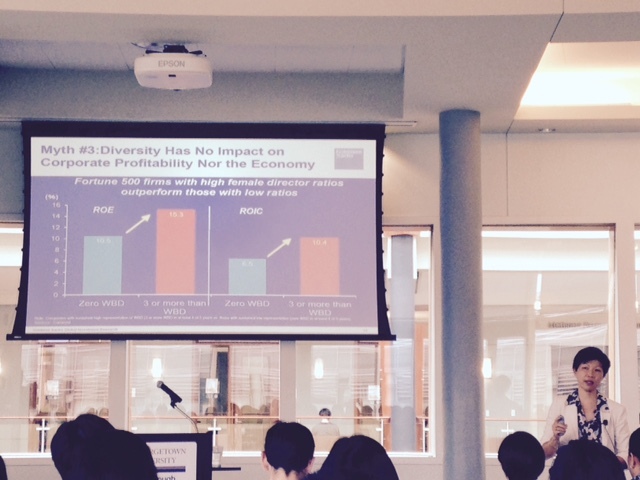 Mrs. Matsui’s presentation discussed on the current challenges facing the Japanese economy and how the government is addressing labor shortages by implementing policies to increase labor participation rates of females. The presentation emphasized how important it should be for Japanese companies to acknowledge the business case for increasing retention and promotion rates of female workers within their firms, in virtue of the effectiveness of running global businesses with a more diverse staff. Upon completion of Mrs. Matsui’s presentation Ambassador Verveer moderated a discussion on its findings, taking questions from event attendees, most of them current Georgetown University students. Mrs. Nobuko Sasae, wife of the Japanese Ambassador to the United States, also shared her personal story as a Japanese working woman, highlighting how the presence of close role models and networks were crucial during her career.